“Life is too short. We can’t be all the time serious. We must do stupid things.” Beneath his mile-long eyelashes, the server’s eyes sparkle with mischief. He doesn’t actually mean stupid things, but bêtises, the English word’s playful French twin—the more lighthearted of the pair. Silliness is good for the soul, he wants to say. Foolhardiness is not only for fools. He motions toward the tiny gold skull dangling around Sam’s neck. “Even your gangster necklace says the same.” In a wailing whisper he gives the skeleton a voice. “I am here to remember you, la vie est trop courte,” he moans. “Too, tooooo short!” Then, with a flash of smile, he turns and rushes to the kitchen. Amused equally by his description of her jewelry and the ghostly rendition, Sam rubs the miniature cranium between her fingers and considers the affable Fes native. He aches to leave his ancient hometown, a fact he confessed early on in their ten-minute acquaintance. He’s ready for bigger cities and brighter lights, places where he can faire des bêtises, make mistakes, live a little. 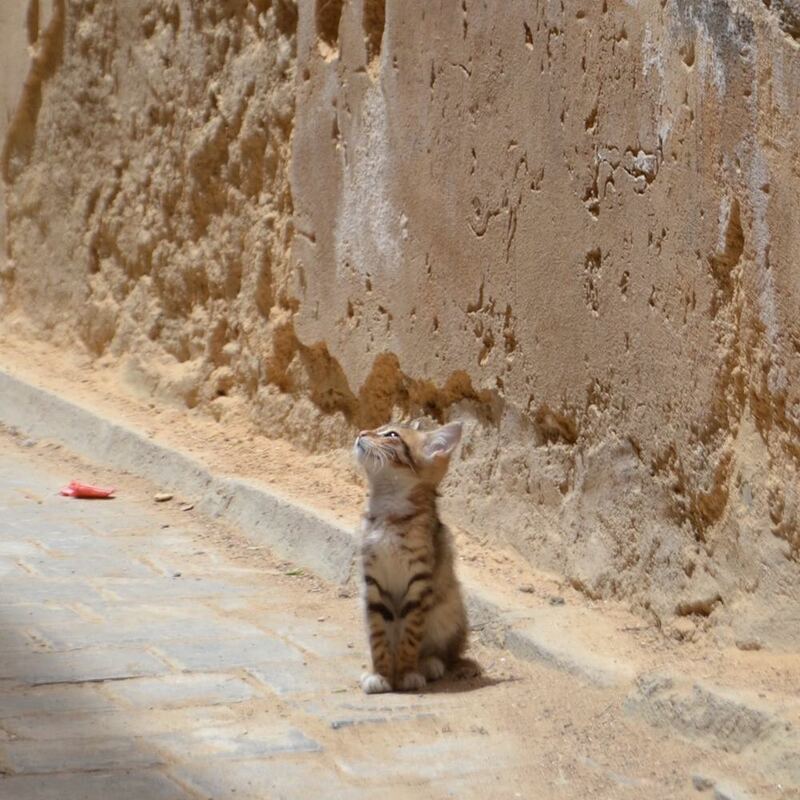 Meanwhile, Sam is captivated by his old Moroccan city. There is something about the labyrinthine alleys that elicits pangs of jealous curiosity in her, an unexpected yearning to rewind time and spend a childhood here playing hide-and-seek. That morning, a woman passed under her window with three large rounds of bread fresh from the communal oven. The smell encircled Sam with a surprising nostalgia for an imagined home in the medina—a light-filled courtyard hidden behind one of the hundreds of wooden doors lining the streets. What would it be like to grow up with the solution to this maze imprinted to memory? To need no hand-drawn map for the Blue Gate, but to pass through its magnificent archway every day on the way to school? To leave shoes at the mosque’s door each Friday and feel soft carpet underfoot on the way to prayer? To help an uncle in his carpentry shop and return home with sawdust in hair and nostrils? To spend evenings on the rooftop watching the sun turn minarets to gold? Sam imagines an alternate life not because she would change anything about her own East Coast upbringing, but because the city’s high walls hold in centuries of tradition and she craves a taste of it. As a tourist she feels like a kid gazing through a bakery window, only able to imagine what a life inside might be like. The server is back with a tray. “Okay, Sam, it’s not green ham, but I hope you enjoy.” He fills her table as she laughs at his scattered cultural references. He points to each dish in turn. “Apricot jam from the orchard of my brother, olive oil from the garden of my aunt, eggs from my pet chicken.” He grins in response to her look of surprise. “You think I am saying a joke, but it is true. Her name is Madonna.” With that, he’s off to another table taking orders for mint tea. As she sips an avocado-and-orange-blossom smoothie, Sam ponders the server’s thirst for new horizons. Though his life appears idyllic—days on the sunlit patio bantering with satisfied customers, soccer in the cool evenings and weekends at a relative’s farm—she recognizes his desire to leave as though she’s looking in a mirror. His parched yearning for the elixir of exploration is entirely familiar. She knows the craving is quenched only by travel, by swallowing up all that is new in great, greedy gulps. Picking up her knife and fork, Sam starts in on the goat cheese and honey toast. A thick slice of bread, like the loaves she smelled that morning, fills the plate. She wonders which family member tends the goats and bees. Maybe they are Madonna’s playmates? As the meal slowly disappears, a watercolor design is revealed on the plate. Sprigs of painted green leaves and lush red flowers bring back the memory of her dishware sold off weeks earlier. Plates and bowls, tinkling glasses and delicate creamers. A teapot that begged to be part of cozy fireside chats and bright white mixing bowls that hoped to be smudged with melted chocolate. She sold the entire collection—all 177 pieces of it—and now this plate appears like an old photograph making her miss the whole lot. How strange. She doesn’t miss her bed or couch. There’s no longing for the coffee table or kitchen chairs hauled off by bargain seekers. All the big pieces are gone like a weight off her back. It’s the tumblers and teaspoons that tug at her heartstrings. Sam traces the watercolor design with her finger and wonders why this unexpected symptom of homesickness should find her here. Is that even the correct diagnosis for her uneasiness? The malady is defined by a longing for home and there’s no locale to which she currently assigns that label. With her parents retired to Panama and most of her friends starting families on the West Coast, Massachusetts no longer beckons like it did in her college years. Slowly, Sam recognizes the sinking feeling for what it is—the little sneak. She thought she’d gotten rid of the pest—shut it out with feelings of awe for this magnificent country, banished it with certainty that her journey was set in the right direction. Yet here it is again, finding its way into the overgrown garden and cool patio. Fear is back. The beautiful porcelain plate let it in, along with its poking, repetitive questions. Why dismantle a perfectly good apartment to start living out of a backpack? Why use a year’s worth of savings to fly around the world when any sensible person her age would start a mortgage? Why take off at this age—a decade too old for gap year—and exit the world of early-career professionals to sacrifice promotion for exploration? Why spend months crossing the oceans only to risk missing the proverbial boat? The big question, though—the one the plate was asking in the first place—sums them all up. At the end of the experience would Sam find she’d sold off all her possessions and risked everything only to come up empty-handed? “It is wonderful,” he agrees, “but one must know the wonderful out there, too.” He points above the courtyard’s walls at an invisible horizon. She understands. “Bon voyage,” he wishes her. “Pass my hello to the camels.” Then, with a final award-winning smile, he’s back to the kitchen again. Sam tucks her black curls under a light blue scarf that offers shade and anonymity while exploring the streets. She says a silent prayer of thanks to her Mexican abuelos and Indian grandparents for one of the best gifts a traveler could ask for—the ability to blend in almost anywhere. Whether bold or foolish, Sam won’t have the answers to Fear’s many questions until the end of her journey. 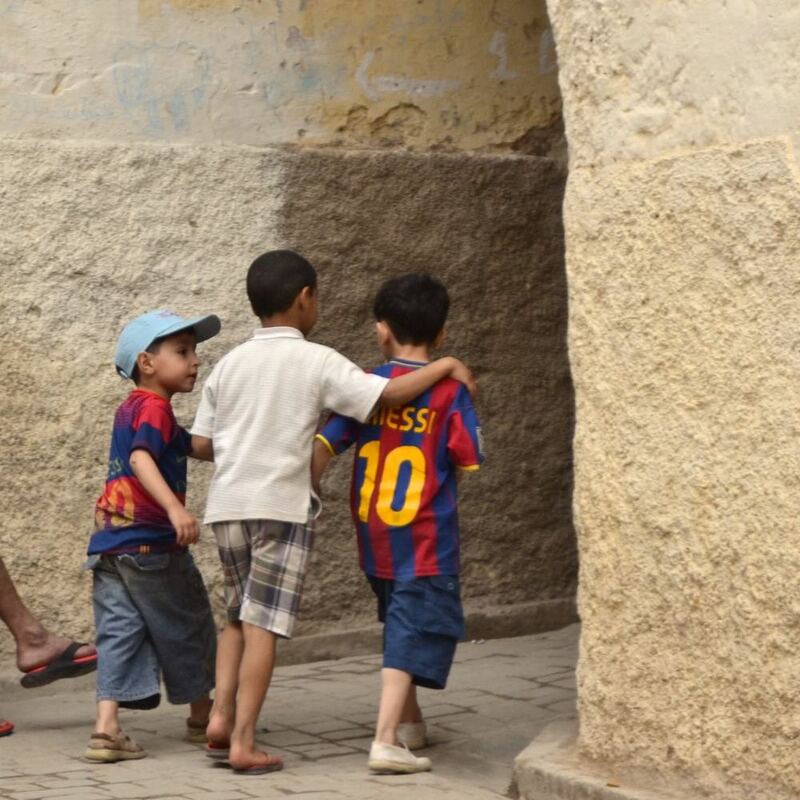 Meanwhile she is happy to be where she is for the moment—drinking up at least one day of her imagined life in Fes.